Playing games can be a lot of fun. But why stop there? 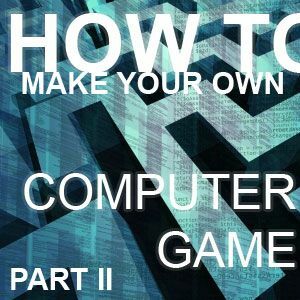 If you’re familiar with a computer and willing to invest a little time, you can start making your own games. Even if you haven’t programmed a day in your life, you can start today. This is the second installment of a three-part series. With each article, the tools we review will be a notch more difficult, the learning curve will get a little steeper, but the creative possibilities will increase even more. In part one we saw how to create your own text-based game, platformer, or first person shooter in the blink of an eye, often with mere drag-and-drop procedures. Those tools already allowed you to tell your own interactive story, but your influence on gameplay mechanics remained limited. This week features tools of intermediate complexity. You’ll be able to determine what’s in the game, but also how the individual gameplay elements interact. To do this, we’re going to use object event-interactions and scripting. GameMaker is one of the most popular game making suites in its league. 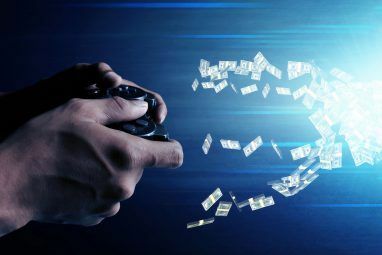 It was featured in Jonathan Bennett’s gaming round-up 5 Free Game Development Software Tools to Make Your Own Games 5 Free Game Development Software Tools to Make Your Own Games Here are the best free game development software and tools you can use to start making your dream game today. Read More in early 2010. What makes this application the highlight of this bunch is its versatility and its compatibility. GameMaker is the only of this week’s tools that runs on both Mac OS X and Windows. Moreover, the paid version is able to export to an even wider array of platforms, including iOS and Android. The idea is simple. You add a number of elements to your game, including backgrounds, sounds and objects. 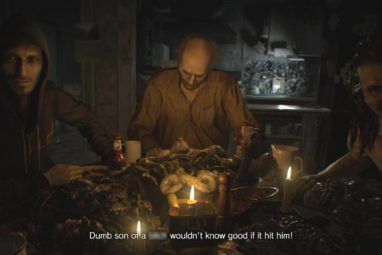 The behavior of these objects in your game can be scripted by specifying events and accompanying actions. Consider the screenshot above. On the event ‘Create’ (i.e. on initialization), the object will run through the actions outlined on the right side column. These actions can be nested and include conditionals (if ‘this’, do ‘that’) and control flow statements (while ‘this’, do ‘that’). In fact, these actions serve as a good introduction to a programmer’s way of thinking. Most programming applications are structured the same way. This allows you to practice with a limited subset of possible interactions, and without being bothered with the exact syntax. Although you can build your entire game by tweaking object properties, you can expand upon these default templates by creating your own scripts. These scripts use GameMaker Language (GML) which resembles Java in syntax. You can also read and learn from, or customize the scripts that are included with GameMaker and available online. YoYo Games, the company behind GameMaker, offers a variety of resources online, including a number of tutorials. These tutorials can help you get started with GameMaker. RPG Toolkit focuses on a smaller subset of games, but does so very well. The tools in this game creation suite have been honed for the past 10 years to help you deliver an extensive 2D role playing game. These two-dimensional games are modeled around tile-based graphics and animations. However, RPG Toolkit leaves you free to use your own programmed visuals in certain parts of the game interface. Most importantly, perhaps, RPG Toolkit profits from its elaborate community. 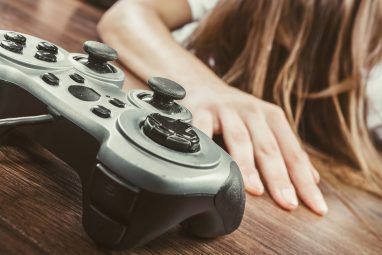 If you’re stumped with a question about your game, or even if you want to enjoy a discussion on game methodology, you can always turn to the forums. The editor in the RPG Toolkit will help you create anything you need for your game, including new sprites, effects and in-game characters. On the website you’ll find countless utilities, plugins to and pre-made programming snippets to use in your game. Contrary to GameMaker, RPG Toolkit relies much more heavily on its scripting language, called RPG Code. This language will be vital to make a decent RPG. Unlike the other two applications mentioned in this article, this is nothing you can lightly skip. To get started, download the application and take a look at the tutorials section on the RPG Toolkit website. There you’ll find what information you need concerning the editor, coding, graphics and audio of your game. If you’re looking to start a big project, try the forums to find fellow enthusiasts to work on it with you. Like the name implies, 3D Rad let’s you create your own 3D games on your Windows computer. It adheres to a most interesting methodology. Using 3D Rad, you will design your games around a design perspective, often scripting the object interactions as you go along. You can use to 3D editor to render your own 3D models, or import these from an external source. If you don’t want to be bothered with 3D models, perhaps 3D Rad isn’t the application for you. After all, even if you use pre-made 3D models, most of your work will be spent in combining these different parts, using working joints, wheels, and a variety of go-betweens to create your own physics sandbox. Like GameMaker, you orchestrate the 3D Rad gameplay without ever writing a line of code. For the most part, you’ll be specifying object relationships and interactions using the object dialogs. By defining these visual relationships, you are in fact calling on wide variety of built-in scripts, including artificial intelligence scripts. If you wish to go beyond this initial level of functionality, 3D Rad also allows you to define your own scripts to use in the game. In either case, to get started, check out the wide variety of tutorials on the documentation pages. Which of these applications caught your eye? Do you have any other suggestions? Share your ideas and experiences in the comments below! Heya i'm for the primary time here. I came across this board and I find It truly helpful & it helped me out a lot. I'm hoping to give something again and aid others such as you helped me. Thanks Victor, this looks like an interesting application. There seems to be a big community behind it, too. Yes, Scratch is a very good platform for learning how to program and can be used by all ages. Also, this application can teach you the basics of other languages, with the if/else and so on. But, they haven't released a newer version yet. I think I have a copy of Game Maker at home. It seems like a good tool but I never really got into it. I'm using c++ and ClanLib (http://clanlib.org/) libraries now. It's a very steep learning curve, but when I get the hang of it I'll start filling in the gaps in the documentation, which should give me an even better understanding.